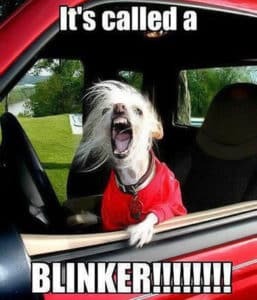 It’s easy to get frustrated when others drive too close to your car, cut you off, or don’t follow the rules of the roads. However, acting out on your emotions can lead to road rage that causes serious car accidents and violations with law enforcement. People that drive aggressively are not only dangers to themselves but also others on the road and the repercussions can be severe. In the highly-populated and busy state of New York, it is common for the roads to have a lot of traffic. In fact, the Big Apple is well known for bumper-to-bumper traffic in its crowded cities. Injuries, property damage, and death are not the only consequences of road rage. Aggressive driving is against the law and whenever you get behind the wheel, you’re expected to follow the law. Disregarding the law can bring about fines, imprisonment, tickets, loss or suspension of your license, and other court and attorney costs. No matter how much another driver angers you while driving, the consequences of reacting hostilely are never worth it. New York officers are consistently on the lookout to pull over reckless drivers. To obtain a New York license, you even have to pass an examination that includes questions on road rage to prove you are aware of the dangers in addition to the legal and financial consequences that you can face if you fail to drive responsibly. Road rage awareness is a mandatory prerequisite in order to obtain a New York license as this ensures that drivers understand why road rage is never okay and what the ramifications can be. Please always remember to drive responsibly. If you are the victim of a car accident, you deserve to receive compensation and need a skilled attorney on your side. Our attorneys have years of experience and offer free initial consultations to review personal injury cases. Call us today: 716-330-2901.